When OnePlus first set its foot in the expanding smartphone market, they used an invite-only system, in which prospective buyers had to wait for an invite link to grab the OnePlus One. Slowly but steadily, OnePlus began to expand their reach with their next generation phones being made available in more countries and by ditching the invite-only system for good. The next step to gain more market share is to make their products available offline, and that's exactly what OnePlus will be doing in India. The Chinese manufacturer announced that OnePlus 5 will be available in Croma stores starting tomorrow. They published this news via their official Indian twitter handle. Though they technically had offline stores selling OnePlus 5, it was limited to the OnePlus experience stores which were opened in just three cities, Bengaluru, Noida and New Delhi. This is the first time the young company has joined hands with an offline retail store to sell their devices. 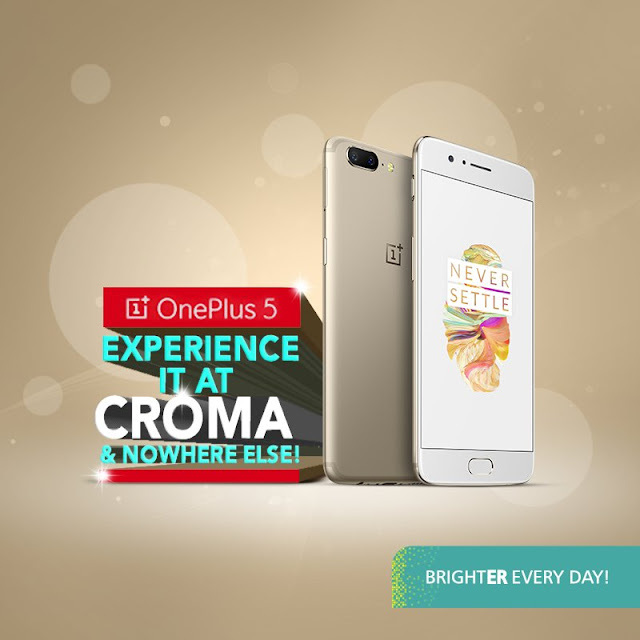 OnePlus has been teasing about this partnership since a few days, and recently Croma added a product page for OnePlus 5 on their website. 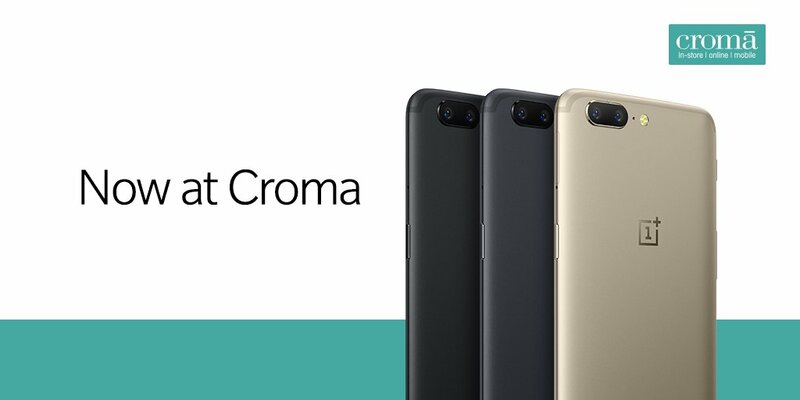 As of now, only OnePlus 5 is expected to be brought into offline Croma stores. OnePlus 5 was launched in India in June this year, as a successor to the popular OnePlus 3T. The device received highly positive reviews and is one of the most preferred phones in the Rs 30k - 40k price bracket. Recently OnePlus also revealed that OnePlus 5 as well as its last two smartphones - 3T and 3 - will be receiving the latest Android version, Oreo, by the end of this year. OnePlus 5 comes with a 5.5 inch FullHD display, with the latest and greatest Snapdragon 835 processor under the hood. It also features a dual camera setup to the rear, with a combination of a standard lens and a telephoto lens. The camera performance has improved with frequent updates, one of which even added EIS support at 4K resolution for rear camera. OnePlus also supports the proprietary Dash Charge at an insane 20W, which makes it one of the fastest charging devices. The smartphone is available in two variants w.r.t RAM and storage, 6 GB RAM + 64 GB storage and 8 GB RAM + 128 GB storage. The 4/64 variant is priced at Rs. 32,999 while the 8/128 variant retails at Rs. 37,999. Though highly unlikely, it remains to be seen whether bringing these devices to offline market will have any effect on its pricing.